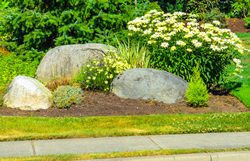 raingarden noun a planted sunken area of garden that absorbs rainwater runoff from roofs, drives, etc. Financial incentives drove up numbers of green roofs in Germany 19-fold in just 12 years. In Melbourne, Australia, a five-year scheme is establishing 10,000 “raingardens” — flower and vegetable beds underlain with sandy soil to help water filter away. While the production version carries over many cues from the concept [version of the car], the higher-set greenhouse from the Impreza reveals the truth: There’s no new platform beneath that flared bodywork. frost-quake noun an earthquake-like phenomenon brought on by extreme cold. It is caused by the expansion of moisture in the ground as it freezes, leading to the sudden release of energy and an accompanying loud boom. Pingback: (EN) – New words: 1 September 2014 | Cambridge University Press | Glossarissimo! The word “greenhouse” seems to be gaining negative connotations. We’ve all read about “greenhouse gases” and the “greenhouse effect” causing global warming. At the farmers’ market, signs proudly distinguish “field-grown” tomatoes from the “greenhouse” variety. At public Botanical Gardens, the preferred term is “Glasshouse.” And now the “greenhouses” of autos may be blamed for the death of pets or children.